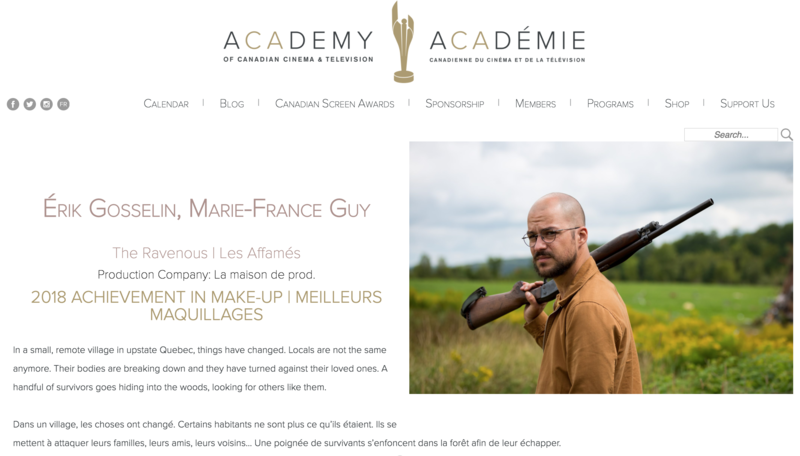 Posted by erik gosselin on 5:52 PM in News, Uncategorized | Comments Off on Lifemaker FX wins Best Achievement in Makeup at the 2018 Canadian Screen Awards. 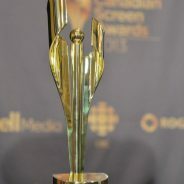 Posted by erik gosselin on 9:47 AM in News, Uncategorized | Comments Off on Two nominations at the Canadian Screen Awards 2018! 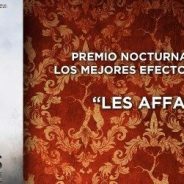 Posted by erik gosselin on 7:59 PM in News | Comments Off on The Ravenous (Les Affamés) wins ‘best FX’ award at the Madrid Film Festival! 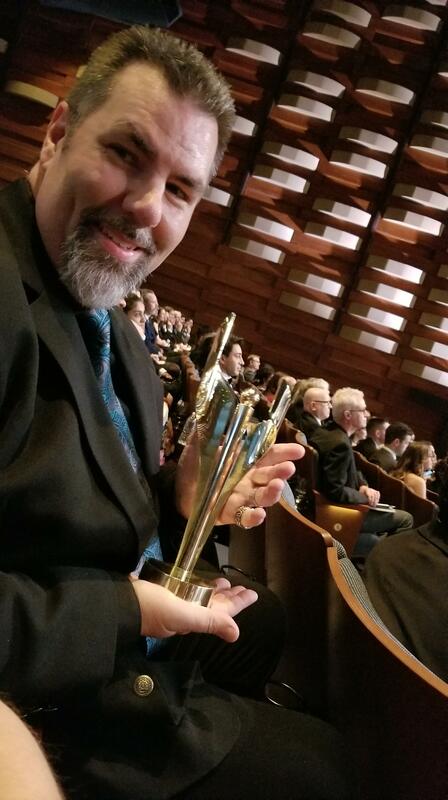 Posted by erik gosselin on 7:58 PM in News | Comments Off on An impressive presence for Lifemaker at the 2018 Canadian Screen Awards! Souvenir interview from last year’s ACCT Gala. Posted by erik gosselin on 9:09 AM in News, Uncategorized | Comments Off on Souvenir interview from last year’s ACCT Gala. 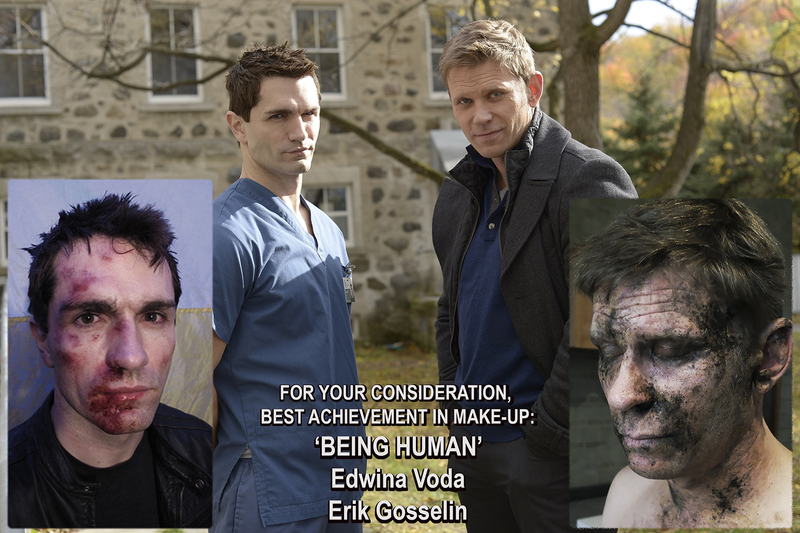 Edwina and Erik being interviewed by Katie, right after winning the ‘Best Achievement in Make-Up’ at the Canadian Screen Awards! 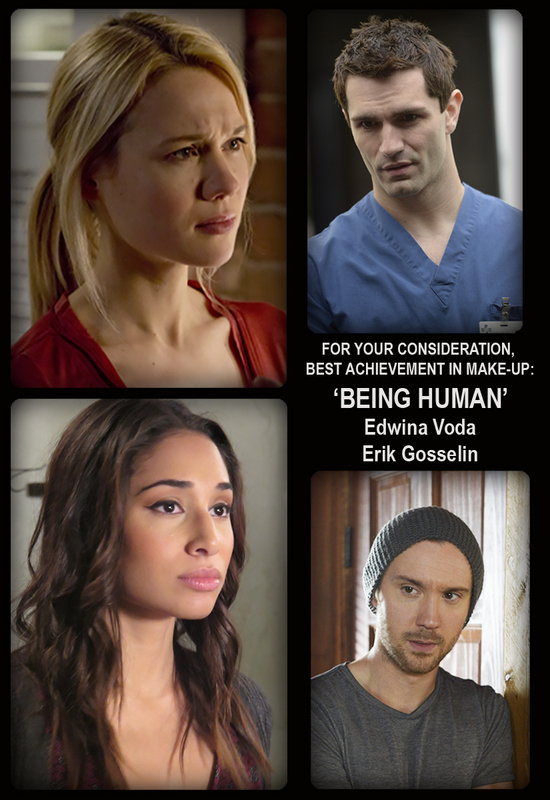 A fourth straight Canadian Screen Awards nomination for BEING HUMAN. 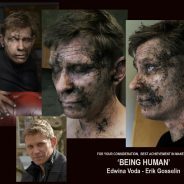 Posted by erik gosselin on 3:50 PM in News, Uncategorized | Comments Off on A fourth straight Canadian Screen Awards nomination for BEING HUMAN. Yes guys, we have it. 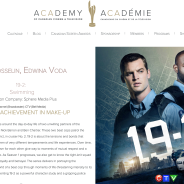 After 3 straight nominations which turned into 2 WINS, we are nominated again, Edwina Voda and me, in the ‘BEST ACHIEVEMENT IN MAKE-UP’ category at the Canadian Screen Awards. 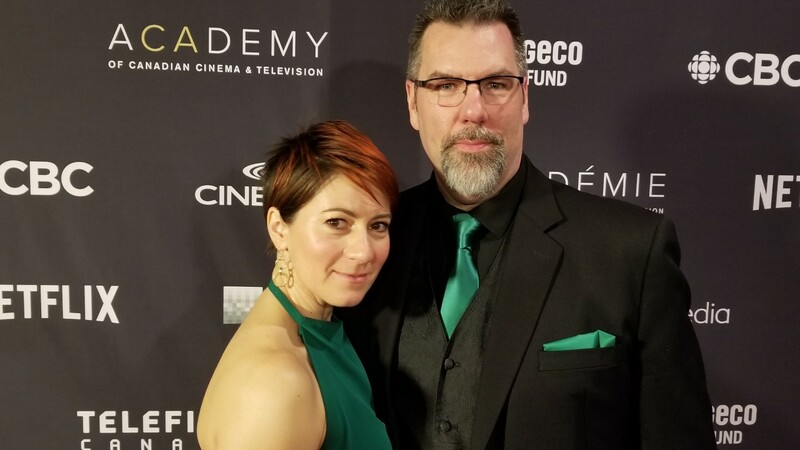 Gala is in 4 weeks…fingers crossed! 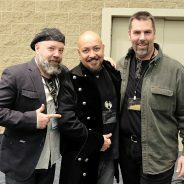 IMATS convention, here we come! 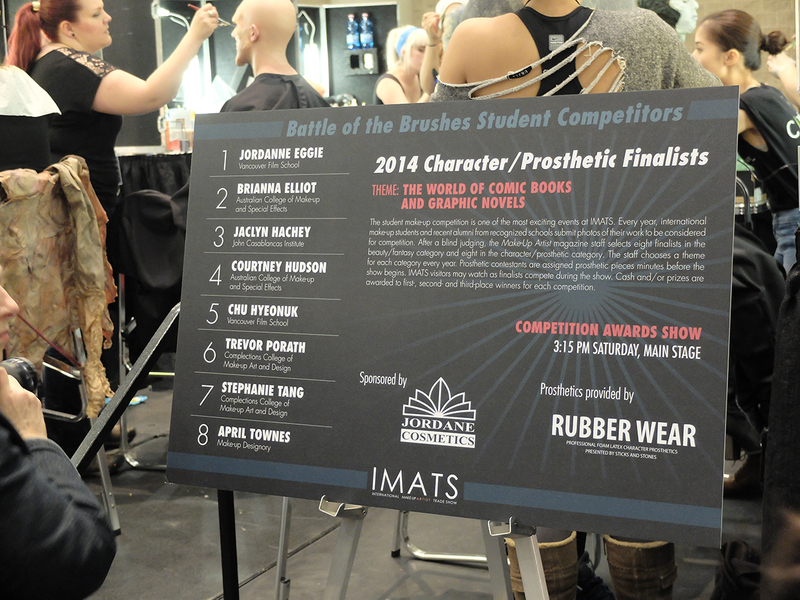 Posted by erik gosselin on 7:08 PM in News, Uncategorized | Comments Off on IMATS convention, here we come! 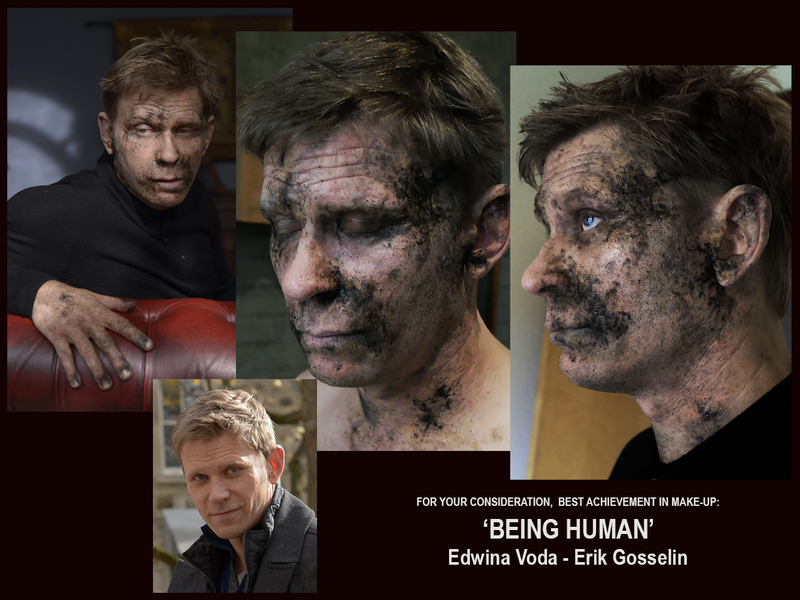 Couldn’t wait to get to Toronto for the wonderful IMATS, make-up and effects convention. 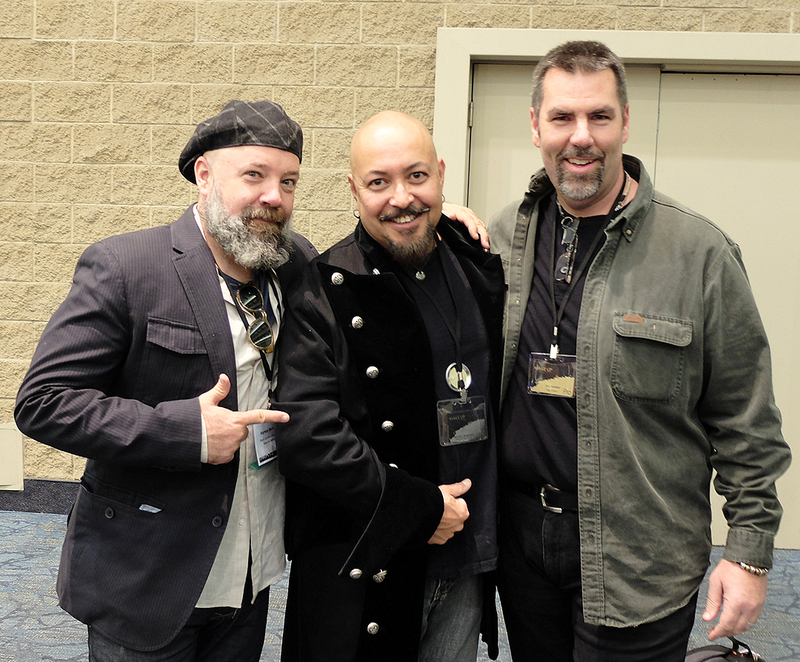 Needless to say, both Edwina and I ended up buying more make-up and brushes for our respective kits AND, I was asked to judge the ‘BATTLE OF THE BRUSHES’ competition alongside movie make-up greats BARNEY BURMAN and THOMAS SURPRENANT. 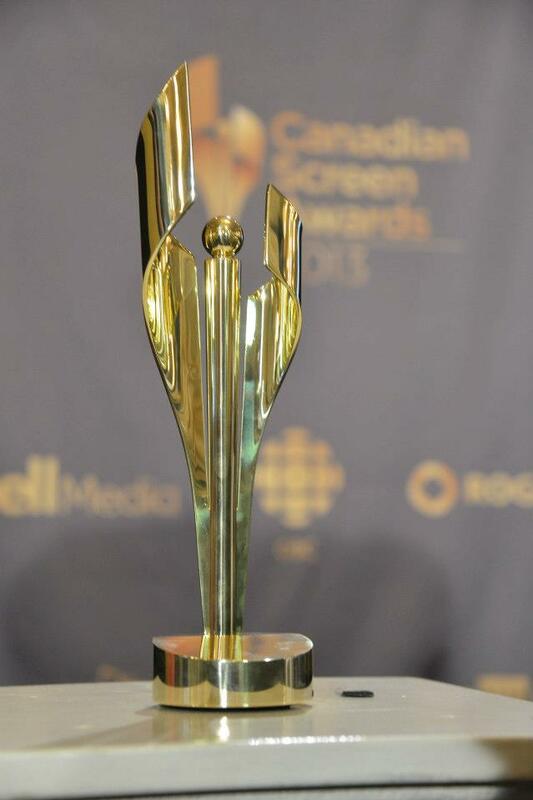 What an honour that was… So many talented competitors. 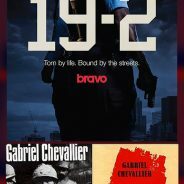 It’s been a great, diversified year and the only projects we have left before going into hibernation (and getting to the IMATS Convention in Toronto) are a couple of remaining days on the cop drama ’19-2′ (english version) and the french war movie LA PEUR, and amazing tests for a Ubisoft project. 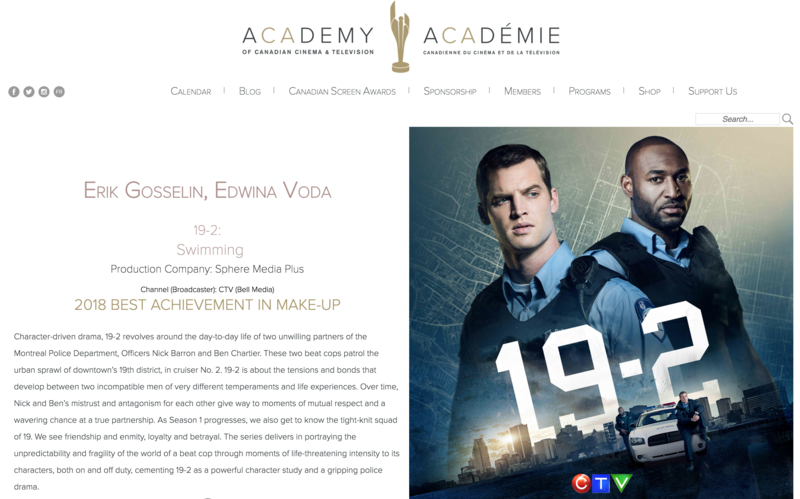 Can’t wait to see both results on screen…and to get to Toronto! 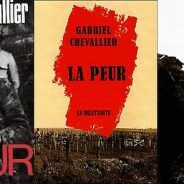 LA PEUR; tout un défi nous venant de France! 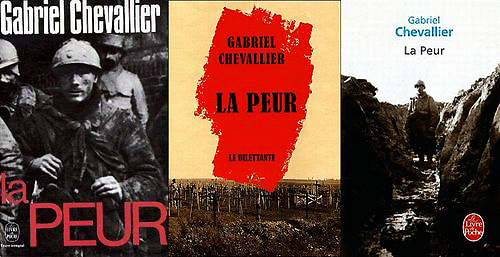 Posted by erik gosselin on 10:03 AM in News, Uncategorized | Comments Off on LA PEUR; tout un défi nous venant de France! 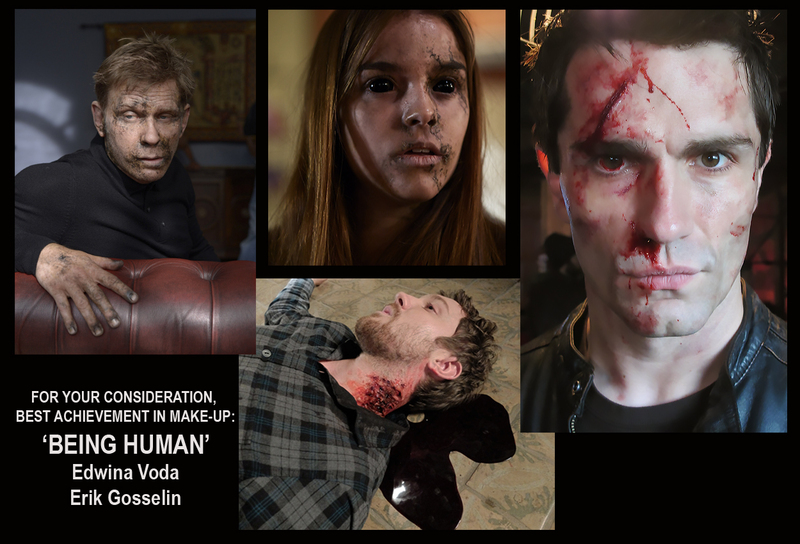 Le réalisateur Damien Odoul et le producteur Francois-Xavier Huet nous ont confié certains des plus gros maquillages prothèses et effets spéciaux de leur film basé sur le livre du même nom. 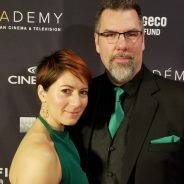 Le super équipe de Brigitte Bilodeau (chef) et Julie Brisebois a travaillé avec nous main dans la main sur ce projet hors du commun. Beaucoup de travail pour recréer les tranchées de la première guerre mondiale…à voir en 2015. En ce mois d’Août, du travail de faux corps et accessoires spéciaux sur deux projets Québécois très intéressants: l’exposition annuelle EXPO-QUÉBEC (maison hantée) et la télé-série MENSONGES. À voir en personne ou à la télé cet automne 2014!